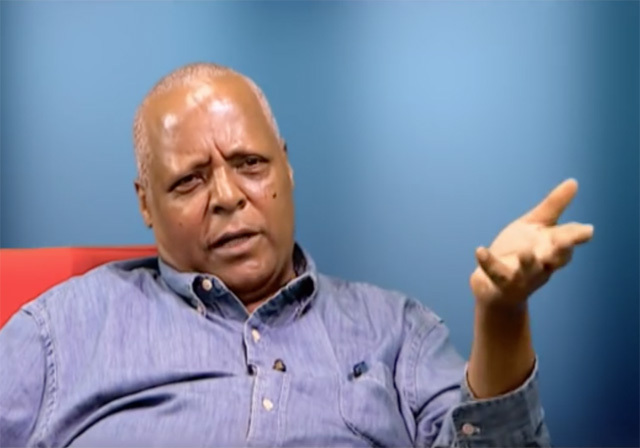 June 21, 2017 - Federal prosecutors in Ethiopia maintained their argument Tuesday that their terrorism case against Merera Gudina, head of the Oromo Federalist Congress (OFC), need not be separated from a file that includes charges against other defendants that his defense says have nothing to do with Merera. Merera was arrested in November 2016 upon returning from Brussels, where he delivered a speech and testimony about the Ethiopian human rights situation to the European Parliament. A widely circulated photo showed Merera there with exiled opposition leader Berhanu Nega and Oromo Olympic athlete Feyisa Lilesa. Ethiopian officials claim the arrest of Merera, a scholar and lifelong human rights activist, was not for his EU speech and activities, but because he violated Ethiopia’s state of emergency provisions by meeting with a terrorist organization when associating with Berhanu. Merera has denied all the charges, and remains held without bail. Yet the government’s subsequent legal moves rolled charges against Merera and Berhanu into the same file, along with charges filed in absentia against Jawar Mohammed in the United States. Mohammed is executive director for the Oromia Media Network, which along with foreign-based Ethiopian media outlet ESAT – and without obvious or compelling reason – is included in the same case as Merera’s. Attorneys for Merera argued last month that any charges filed against him should be separated from those of the co-defendants. That claim was refuted by the prosecutor’s response submitted Tuesday. The court adjourned the next hearing until July 7.